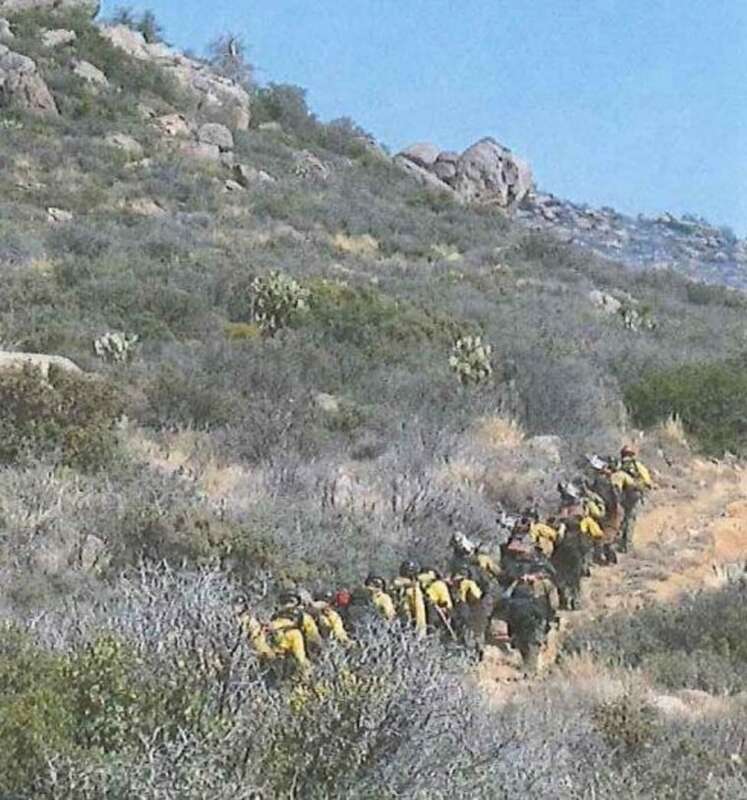 Nineteen elite Hotshot firefighters died needlessly in June, Arizona safety officials said Wednesday in a damning report that accused state forestry officials of valuing land over firefighters' safety. The report, by the state Industrial Commission, is a blunt repudiation of the state Forestry Division's review in September, which assigned no blame but said the firefighters and their supervisor failed to "communicate effectively" as they were battling the catastrophic Yarnell Hill fire south of Prescott. In fact, the Industrial Commission charged, the Forestry Division was squarely to blame, saying it "unnecessarily and unreasonably" put the Granite Mountain Interagency Hotshot Crew members in a pointlessly hazardous situation because it "prioritized protection of non-defensible structures and pastureland over firefighter safety." The commission voted unanimously to penalize the Forestry Division to the tune of $559,000, almost all of which would go directly to the families of the fallen firefighters. Even though forestry commanders knew the crew's efforts were ineffective, the firefighters "were not promptly removed from exposure to smoke inhalation, burns, and death," it said. The Industrial Commission said communications problems did play a role, but it said those problems arose because key staff members failed to show up for a morning planning meeting and because the Hotshot crew wasn't provided with adequate maps or a second escape route. The result was critical confusion as commanders and support staff struggled to figure out where the firefighters were and how bad their situation was, the report said. The Industrial Commission said that was a willful workplace safety violation by the Forestry Division in its capacity as the firefighters' employer. The Forestry Division said in a statement late Wednesday that it hadn't yet read the report and couldn't comment. The fire, which began June 28 with a lightning strike outside the town of Yarnell, burned 8,400 acres and destroyed 129 structures before it was contained July 10. The 19 deaths on June 30 were the largest loss of firefighters' lives since the terrorist attacks of Sept. 11, 2001. The Industrial Commission said investigators from a fire-incident consulting firm interviewed more than 40 local, state and federal fire and forestry officials who were part of the Yarnell Hill campaign. The firm, Wildland Fire Associates of St. Louis, concluded that the Forestry Division consistently underestimated the scope of the fire, failed to follow its own guidelines for attacking a fire like the Yarnell Hill blaze and miscalculated the risk in case its flawed plan went wrong. "The failure of their strategies and tactics ... resulted in a life-threatening event," the firm said. The aftermath of the Yarnell Hill fire has been studded with controversy. In addition to persistent questions about incident commanders' management of the firefighting effort, audio recordings of real-time radio transmissions revealed that forestry officials initially believed some of the Hotshots survived. And in August, another dispute arose over compensation for the families of 13 of the victims who weren't classified as full-time firefighters, meaning they might not be eligible for the full financial benefits the families of their six colleagues would get.